In the market for a kitchen tool that is sure to stick? 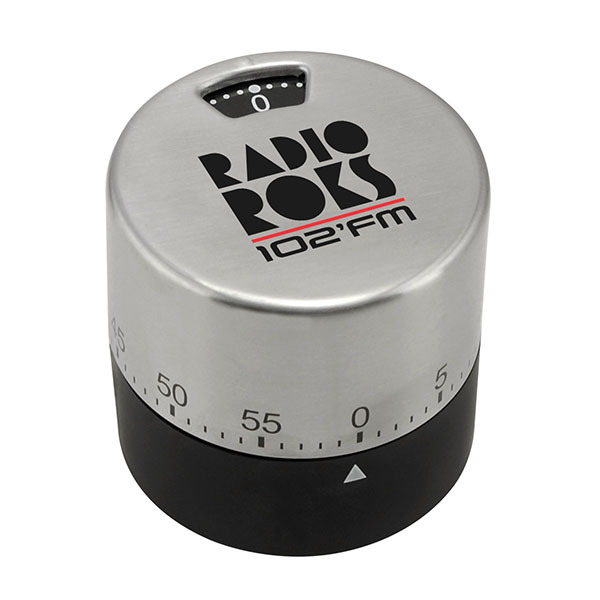 Look no further than this modern magnetic timer. Measuring 2 3/8" x 2 1/2" and featuring a stainless steel construction, this handy product counts down from up to 60 minutes, allowing you to keep a close eye on your food. An ideal giveaway for kitchen stores, culinary schools and so much more, it can be customized with an imprint of your company logo and message for heightened brand awareness. Blank $6.40 $6.10 $5.80 $5.50 N.A. Item Size 2 3/8" x 2 1/2" Dia. Case Dimensions 15" x 15" x 12"
SpectraCal™ 1 1/4" x 1 1/2" 4 color process, 1 location N.A.